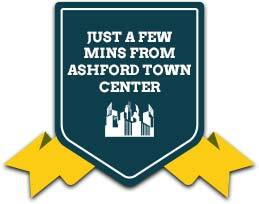 Self storage containers situated just a few minutes from Ashford in Kent! Competitively priced self storage containers with flexible monthly pricing. 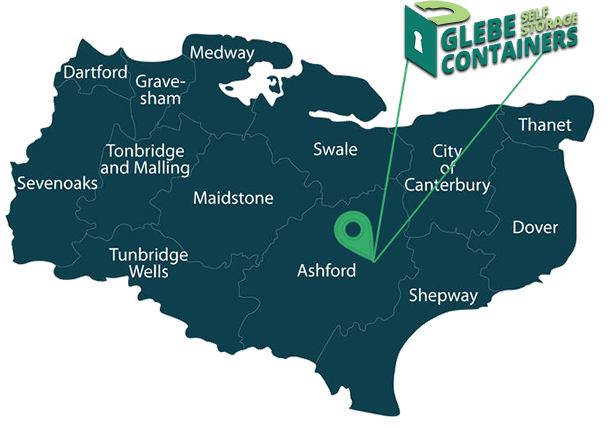 Based just a few minutes outside of Ashford, Glebe Self Storage provides 24/7 container self storage. 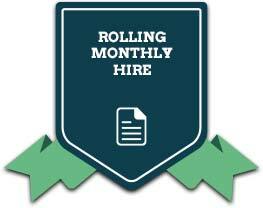 We offer both 20ft and 40ft self storage shipping containers, with a third 20ft x 8ft high cube on request, so depending on how much space you need you can choose either size on a rolling monthly hire! If needed, some of our self storage containers also have electricity, meaning you can prepare equipment for the next day. 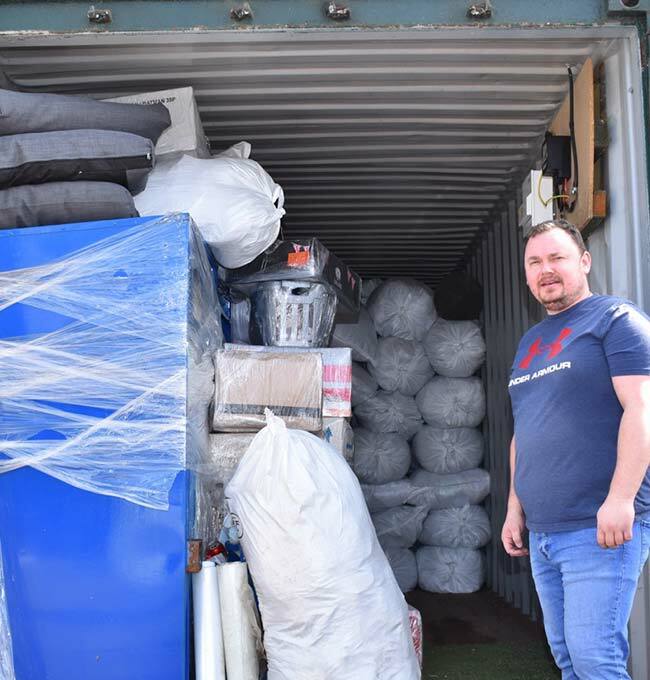 Not only do we offer self storage units for our customers, we also provide comprehensive domestic and commercial removals for a range of clients around the South East. If you are looking to hold your possessions somewhere while you move, then why not employ Glebe Self Storage for your domestic removals and hire out some units at our self storage facility. 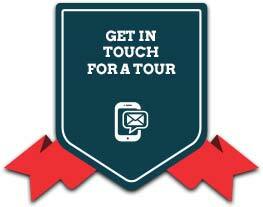 Get in touch today for some of the most competitive rates for self storage in the South East. Call us today on 01233 732 990, on mobile 07857 214546, or send us a message through our contact page to discuss your requirements with us; if you have a quote from another self storage company, we will beat it! 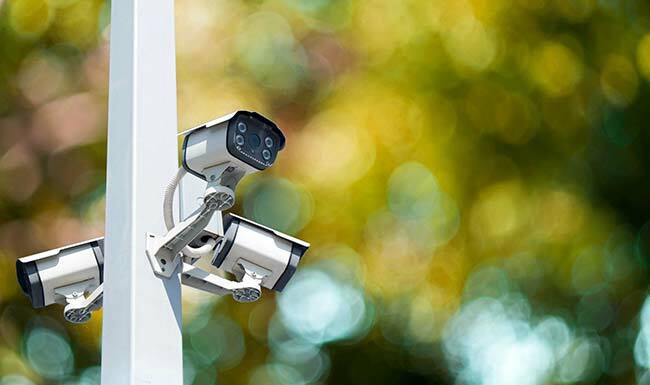 With CCTV systems across our site, electric gates and security fences, your self storage container and the items in it will always be safe and protected. You will be able to access your ground-level self storage container any time of day. We also provide secure ramps for the storage of vintage cars and motorbikes. As Kent's leading self storage company, we ensure the protection of your items when you leave them with us. As a self storage and removals company, we provide a wide range of services designed to make your life easier. If you are looking to move and wish to store your vintage car or motorbike with us, or any of your possessions, then making use of one of our larger self storage units is the perfect solution. Not only that, but hiring us to carry out your domestic or commercial removals means that we will handle every aspect of your move, taking away the stress of managing two or three companies at once. You bring your own lock for your storage container, meaning only you have access to it. Our self storage facility is at ground level, meaning you can easily pull up to our self storage containers with your car or van and load or unload your possessions with ease. With our 24-hour access and easy unloading areas, our self storage containers are ideal for homeowners needing a little extra space to store their possessions. With all of our storage units at ground level, you will easily be able to pull up and unload your personal belongings from your car or van. With your own fob, you and only you will be able to access our site through our electric front gates. We understand that moving home is a stressful process, which is why we offer a comprehensive removals service for customers across Ashford and the South East. This encompasses both domestic customers and commercial removals, with our self storage facility open to store your belongings while you settle into your new premises. Our Ashford-based removals company always ensures the very best service, keeping your possessions safe as they are transported to your new home or office. Based just a few minutes outside of Ashford, we provide a professional removals service to customers across the South East including Dartford, Sevenoaks, Medway, Gravesham, Tenterden, Hythe, Folkestone, Tonbridge and Malling, Swale, Canterbury, Thanet, Rye and Shepway. Call us today on 01233 732 990, by mobile on 07857 214546, or send us a message through our contact form to speak to a friendly and experienced member of our team about your requirements. We provide a discount for longer storage periods as well as a lowest price guarantee!